The Analytics MBA may not yet be part of the common lexicon yet (like the Marketing MBA, Finance MBA, or Entrepreneurship MBA is), but Analytics is an area that is giving birth to a whole range of new opportunities for business graduates. In 2012, Harvard Business Review published an article asserting that the job of Data Scientist would be the ‘sexiest job’ of the 21st century. That apart, Analytics is an area that is equally interesting for business professionals, mathematics majors, and information technology majors alike. If you love mathematics, statistics, and interpreting data, this is a field you are going to love. Not just because of the analytical acumen that it involves, but also because the insights that you glean are impossible to derive any other way, and can often get to the root cause of pressing business problems quickly. Why pursue an MBA focused on Analytics? Most data-analysis jobs need skilled professionals who can interpret the data and the insights gleaned from it. Just the ability to sort through the data and identify patterns is not enough. For this reason, MBA graduates find a lot of relevant positions that value their education and skills. Before Analytics and Big Data became a phenomenon, there was just one sector that attracted professionals from across industries – Consulting. Now, whether you have a background in Finance or in Marketing, HR, or Operations, you can find positions that will value your skills in the broad domain of Analytics. Large firms across sectors today have Data Analysis / Big Data divisions specifically looking only at the numbers. From large retailers (Target, Tesco, Walmart), to Financial Services firms (all big banks, capital markets firms, insurance firms), Consulting firms (Strategy, Operations, and IT Consultants), and even government organizations, everyone has a use for Big Data. In private firms, a lot of the analysis feeds to Corporate Strategy and contributes to decision-making directly. For those who plan to go the entrepreneurial path too, Analytics offers great opportunities. The field itself is relatively new and is therefore evolving fast, which throws up huge opportunity for entrepreneurs to explore newer and better applications. For example, here is a Poets and Quants article about a Yale MBA graduate who created a new Big Data platform. Here is another article that talks about how IBM bought out a social media analytics startup founded by an enterprising MBA graduate. These are just two examples, and there are many more. 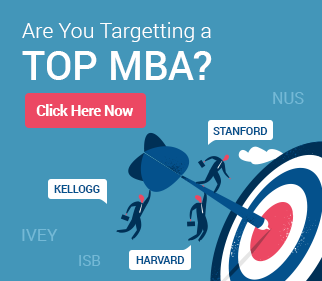 Which are the best MBA programs for Analytics professionals? Almost every MBA program today has a course or two focusing on Big Data and Analytics. However, a few schools lead the pack in terms of offering deeper study, more courses, and even majors in the area of Analytics. Increasingly, more schools are investing in Business Analytics and developing the capability for research and teaching in the area. The Economist mentions that Yale, Wharton, and Kelley have all invested in creating research centers focusing on Big Data, and they are not the only ones. For example, HEC Paris has teamed up with IBM to offer two new courses focusing on Analytics. Surprisingly, the top MBA programs in general (HBS, Stanford, MIT, Columbia, et al) are not automatic choices for top programs in Analytics as well. That is not to say that one cannot find any opportunities or courses around Analytics at these schools, but just that the specialists are not the obvious top programs. Some of the programs that are big names in the area include Kellogg, Stern, Booth, Kelley, Tepper, and McCombs (this list is not exhaustive – contact us for an exhaustive list specific to your profile). Finding a program that offers a specialization in Analytics is only the first step however. Determining unique differentiators and creating a strong fit with the program still remains paramount. Just because someone has a background in Analytics, he/she does not become an automatic choice for admission to these programs. Looking for more information on Analytics and the MBA? GyanOne has in-depth knowledge and expertise on the best MBA and MS programs for a career in Analytics. 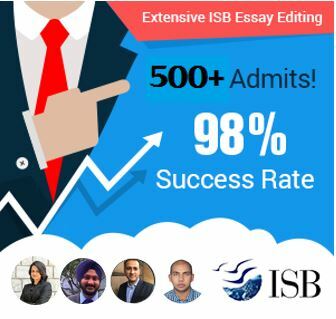 We can help pinpoint the programs that are best for you, help you create outstanding applications to increase your chances of admission to these programs, and also help you understand the post-MBA / post-MS landscape for these programs. Contact us today! Most MS in Analytics graduates find themselves in technical jobs or positions that involve number-crunching and data interpretation. MBA graduates, on the other hand, focus on business interpretation of the numbers – they may not work on the numbers themselves. There is some overlap here, of course, with more experienced graduates finding positions that involve more interpretation, but it is generally seen that MBA graduates do not typically do the number crunching. Some MS in Analytics programs are as short as one year in duration. The MBA, in most cases, is longer. 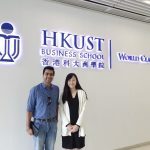 However, the MBA also has wider scope, offers more opportunity and access to a wider variety of jobs, and can also help fast-track growth into more senior business-facing roles. No matter which school or program one chooses, Analytics as a business driver is here to stay. Expect more evolution and innovation as this field evolves further over the coming few years.